RUSH: Here’s Angela in Dumfries, Virginia. Welcome to the program. How are you? CALLER: I’m great. Thanks for taking my call. CALLER: Okay. And I want to say about white privilege — and you were having a conversation about that — and I think the white privilege and the so-called people of color label, they kind of go hand in hand. You know, the white privilege is just a back door way of way of teaching inferiority complexes to people who aren’t white and, you know, people living on their knees and living in constant victimization. RUSH: Wait, wait, wait, wait, wait, wait, wait, wait, wait whoa. Living on their knees. RUSH: Is that a Stormy Daniels reference? Who are you talking about? CALLER: (laughing) No. Again, it’s just a way of teaching inferiority complex and lifelong victimization. RUSH: Hey, look I’ve gotta take a break, I thought I had a minute more than I do. Hang on here, Angela, because that is so right on the money about the white liberals. RUSH: Here is Angela. Angela, this is a really interesting take you’ve got that the whole idea of white privilege is in part used to make black people feel inferior by describing all the privilege and all the advantages and all of the prosperity, whatever it is, that whites have that there’s almost a conclusion, “Wow, man, we’re nothing compared to that group.” And so it enforces this notion of inferiority. Have I got that right? Is that what you meant? CALLER: Yes. Exactly. In fact, I heard you were referencing the story earlier about the mom who was upset about the white privilege that they sent home with her child. CALLER: And the little boy asked her, “Are white people better than me?” That’s what I believe that it teaches. It teaches a type of inferiority complex and lifelong victimization. And the white left, they do have a white superiority complex. So it kind of fits together, as far as I can tell, and they look down on black people. RUSH: Now, that I agree with wholeheartedly. I’ve said it in my own way. White liberals are arrogant, they look down. I don’t think that’s specifically what it is. That is how it appears. But you know what I think it is? RUSH: I think — I’ve seen it too many times. I’ve watched it in action. I think the plantation white liberals, these arrogant, highly educated, affluent white liberals are obsessed with guilty about a number of things. I think they primarily feel sorry because they think that African-Americans are different and need a boost and need assistance. You’ve heard of the phrase “the soft bigotry of low expectations”? RUSH: Oh. Oh. Oh. Chain migration. Chain migration. CALLER: Yes, that’s what it was. RUSH: Well, that was pandering. RUSH: I think all these people try and reinforce to African-Americans every day they’re looking out for ’em. RUSH: How they do that? 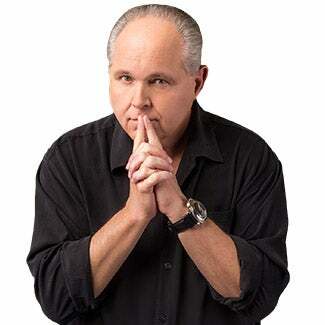 RUSH: — you’re dark-skinned, and you’re African — so even the elite black leftists are supposed to identify with these illegals tracking across the border. CALLER: Right. And so if you say, “I don’t agree with this illegal immigration or the sanctuary cities,” then the mere fact that you’re not standing with “people of color,” then you’re a sellout and those type of things. So I think that the white privilege and the people of color is a constant, again, like you say guilt trip, I guess, on some white people, but I think it’s more of a white superiority complex than anything else in my mind, that’s how I see it. RUSH: I agree. I think the two go hand in hand. I think the superiority complex is why they feel sorry. CALLER: Right. Exactly. And so I believe that President Trump taught us how to fight against it by being bold in fighting against it and making some of them answer to it. Especially some of the black Democrats whenever they campaign in the majority black areas, they should be made to answer their position on illegal immigration and let them talk with their constituents about that, because I know that there are a lot of black people that simply do not like this — it’s not immigration, it’s illegal immigration. CALLER: And the sanctuary cities and the sanctuary states and all of that. They’re just simply not in agreement with it. RUSH: Right, but there’s all types of peer pressure to stay loyal to the Democrats and the left. CALLER: Right. But they still should be made to answer it. And as far as the sexual perversion, I just want to throw that in there. 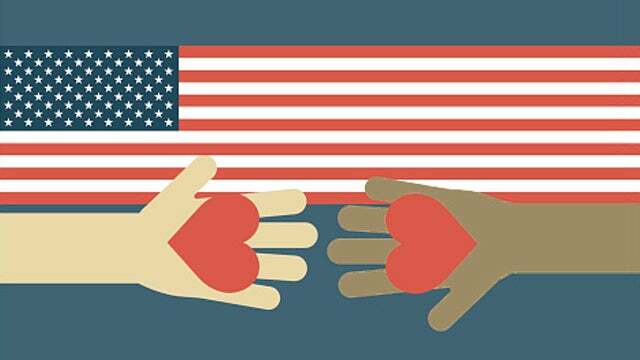 I believe that the majority of Americans, regardless of their skin color, are against the whole teaching the sexual perversion type stuff in the schools. RUSH: Okay, so why are they doing it, though? Why do you think they’re doing it? To whose benefit? What’s the objective here? RUSH: Yeah, whoever’s behind the curriculum. What are they gaining by teaching young second graders, seventh graders, eighth graders all these sexual deviancy acts. CALLER: — bullying and that type of thing. 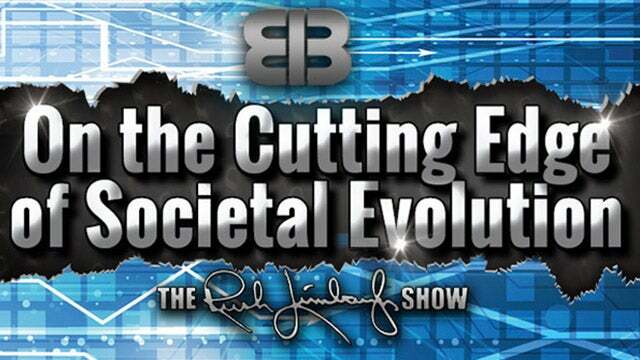 RUSH: I think it’s an attempt to normalize the deviance. Since that’s what they are, I mean, it’s deviants teaching this stuff, it’s perverts teaching it. Perverts have to be in charge of the pervert curriculum. So I think whatever else it is, it’s a disguised attempt to make it appear normal rather than what it is. (interruption) What, replenish the ranks? So if you’re a pervert, you need to make sure there’s some up-and-coming perverts. I see. Well, I have to tell you, Angela, I so appreciate your call. I’ve enjoyed talking to you and I’m really flattered you’re in the audience. Thank you very much. RUSH: Have a great day.